Whether you are president of your local botany club or just beginning to explore the world of gardening, a greenhouse is usually high on every gardener's wish list. Owning a greenhouse means that you can literally garden year round. You never have to worry about ideal conditions again. You'll suddenly be able to have tropical plants that survive (even flourish) in the winter, and seedlings that grow to be healthy, hardy adult plants. Yes, a greenhouse is definitely the gardener's fantasy. If you're in the market for a greenhouse of your own, here are a few questions you may be pondering. Should you start out with a small greenhouse? The only reason to start out with a smaller greenhouse is if you don't have the space or if you have price concerns. Otherwise, you should get the largest greenhouse you can afford. You'll quickly fill it up with plants and in the long run it will be worth the purchase. Features which make Trade Tested greenhouses superior to others include the twin wall 4mm polycarbonate with UV coating and protection film, an aluminum rust proof frame and ease of assembly and large sliding doors that your wheelbarrow can easily fit through. Our greenhouses are manufactured with roof ventilation, which is important for pollination and to prevent excessive heat. 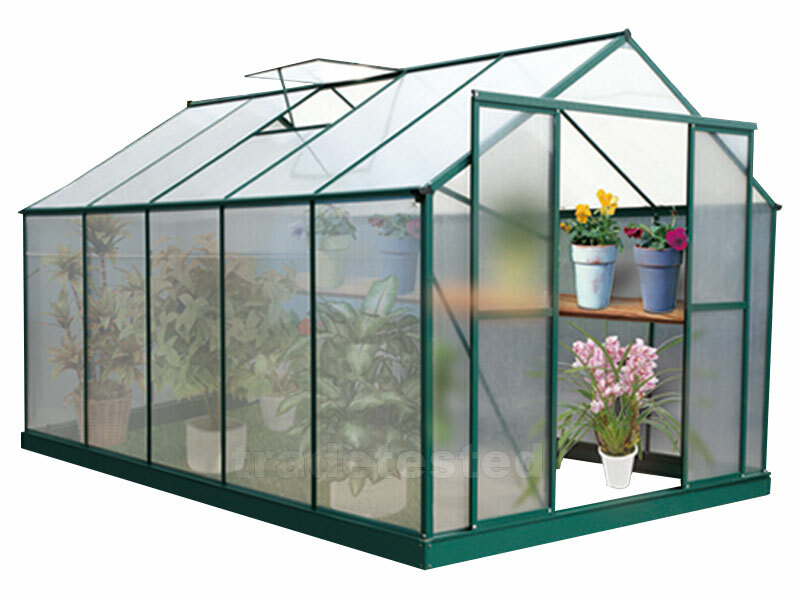 When you are looking for the ideal greenhouse, look no further than Trade Tested, where quality is guaranteed.